We could feel love vibes all around after all it is Valentine’s Day in just a few days. On this heart day, love-struck couples spread their love by spending quality time and exchanging gifts with their loved ones. 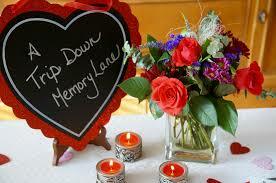 This is a small gesture to express their love to that someone special. This brings sensation and makes us feel love is in the air. This is like any other special day on which we send gifts to our special ones and bring a smile on their face. In fact, couples enjoy the whole week and celebrate each day during Valentine’s week. Rose Day, Promise Day, Chocolate Day, Teddy Day, Hug Day and Kiss Day are the days which are included in Valentine’s week. Are you excited to celebrate 7 days in a row? This is definitely mellow your special one out and make him feel the warmth of your love. 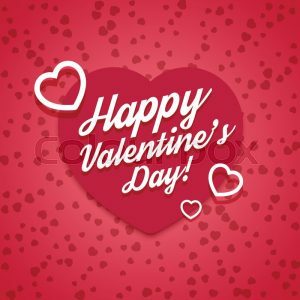 While some people can’t wait to celebrate the heart day, there are other people who don’t feel the vibes of Valentine and it is just like another ordinary day for them, especially those who are not in any relationship or don’t have partners to celebrate this special day with or to go out in an area crowded with couples. But in reality, anyone can celebrate this big Valentine’s day. It does not hold any rule, no matter if you are single or have someone special in your life, you can celebrate it in your way. This day is all about expressing love and care for the person who is in your thoughts and you can’t stop thinking about them. 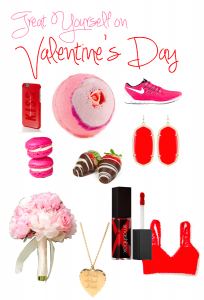 Since Valentine’s Day mark as your love day, did you get anything to celebrate and spread love yet? If not, Don’t worry! We shall help you to get one. 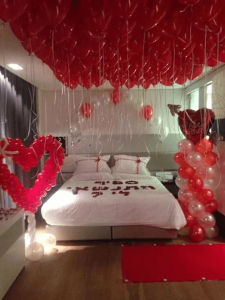 We are sure you will love it because it won’t take a long time and you will get the best idea how to make this Valentine’s a memorable one to your partner. 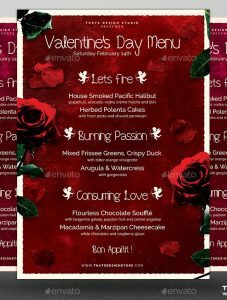 If you are running out creative ideas on this Valentine’s day then, you are at the right place. Here, you’ll get lots of ideas and new things to do for this coming Valentine’s Day. How To Celebrate This Valentine’s Day? Until you end up the most romantic day of the year by just sitting in the lap of the couple next to you and wondering about the things like the gift you got your boyfriend was not enough or too much. We all have experienced some disasters or mishaps on Valentine’s Day. To keep embracing cupids and candy hearts, here, we have compiled unique and romantic ways to celebrate Valentine’s Day. To not get trapped in the game of what to wear or not to wear, we suggest you to decide your clothes the day before. You should pick only the dress which you are comfortable in. You don’t need to dress to impress anyone just dress up for yourself. This is really important to boost your confidence. You should go with the dress which is not too fancy and not too casual. This is the basic thing you can start your preparation for Valentine’s Day. You can relax and enjoy the moment only when you pick yourself not to be over or underdressed. Spa holds the priority when it comes to relax and enjoy. This is the best gift to yourself. There are other ways to treat yourself such as you can go to your favorite restaurant and have a most delicious meal to bring your mood light. Take a day off from your office and arrange free hours for yourself from your busy schedule. Meditation which gives you peace of mind is the best thing you can choose to give yourself a quality time far away from the crowd. There are a number of ways by which you can make your partner feel special on Valentine’s Day. All you need to do is to express your love. You can express it through words, but as they say, Action Speaks Louder Than Words so most of the people buy some gifts as a gesture of love but you got to be very creative for that. Since love has a different language, be it presenting gifts, spending time, complimenting through words, doing something creative or physical touch, you should express your love from the core. A greeting card is a most beautiful gift one could give to her partner. This has now become a tradition to give greeting cards for any occasion. When nothing strikes in your mind to gift your loved ones, a greeting card is what you can go for. This is touchy and most of the people prefer to give it to everyone, even to those who they are not connected with. You can buy it to your nearest shop or draft it yourself by posting pictures and writing the love message for this Valentine’s day. 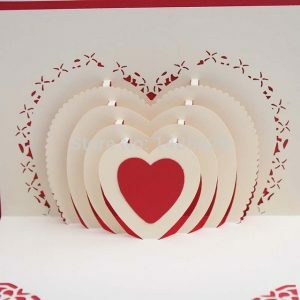 Customized Greeting cards are perfect to bring love sensation to your partner than the pre-printed greeting cards. You can utilize your free hours to make various cards for your family and friends. Beer and the beer. This is going to be the best gift for your partner. You can order it and send it to your boyfriend. If you find beer too pricey, you can pick BBQ, Ice Cream or Coffee. 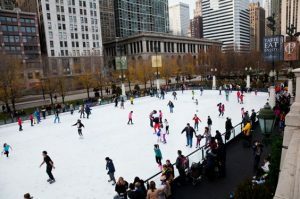 If you want to have some funny yet memorable moments – Ice-skating is perfect to spread Valentine’s cheer. This time pick your Valentine’s day not a romantic comedy, but the one that rinks breed romance and Ice-skating fits best in this frame. This is going to be the exciting and adventurous date for you. You will enjoy like hell! The best thing you can ever do for your BF is to buy him tickets to a game. Nothing can beat when it comes to his interest and this will show that you are very much in his interest. Check ticket of his favorite sporting event (at some sites discounted tickets are available) and get it booked. 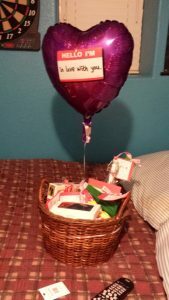 Not only this makes his night and his friends would tell him that he got the best girlfriend ever. What else can be more special than sharing the happiness and time together? If you don’t want to go with the tradition and looking forward to spending quality time, you can embrace your partner by dinner together in bed. Though the various restaurant service is bound to be terrible, choose wisely your favorite restaurant to order in. Don’t forget to check the menu and price, you might get some restaurant which gives you a discount on your meal. You’ve to prepare for this romantic date bit earlier than Valentine’s day. You will get some privacy and can enjoy being away from the crowd. You can take further the Dine in bed idea with arranging an indoor picnic. You can start it by decorating the room, you can do it by using string lights around the room, get some snacks, wine and arrange a blanket and pillow for the beautiful time so that you and your man can sit on. 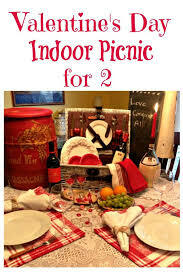 You will get some private moment, having some quality time by arranging the indoor picnic is the way to go. Best way to spend the night relaxing over a nice meal and a cozy company. 10. How About Cooking A Meal For Him? Do you want your man to swoon more quickly? Prepare a delicious dinner meal for him! What’s better than that? If you have been dating for a while and you feel to tell him that you care, cooking a meal goes a long way. Do you know much about cooking? If not, don’t panic, surf the net and check out the recipe of his favorite dish. Valentine’s Day food will surely turn out to be a good thing which your partner will remember and appreciate for. 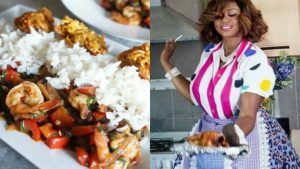 Alternatively, you both can cook Valentine’s meal together only if your man is up for it. This will be nothing but romantic to see each other cooking the meal in the kitchen together instead of going out and cramped with strangers. Valentine’s Day plan can cost you a bit more than your budget. Watch out!! You need to set your budget for Valentine’s Day and go accordingly. Instead of spending your money to buy expensive gifts, think out of the box and do little efforts to make him smile. 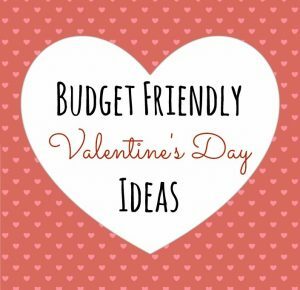 You can cuddle your partner even by setting your budget not too high – buy heart chocolates, bake cupcakes or better purchase massage oil which will really make his night. On this romantic day what could be better than reflecting on your happiness with your partner in the first place. Celebrate this Valentine’s Day by making him feel how much do you love him and how two of you were stuck together in each moment of life. Make a scrapbook by arranging your old pics, decorate it with your pics and stickers and don’t forget to write a heartfelt message which is always a hit. If you find scrapbook a bit time-consuming processor you are running out of time, at that time you can make a collage card or decorate the room wall with your old pics. If you can afford to be extravagant, you can invest in a hotel room. You don’t have to splurge on gifts anymore and get a luxurious time in a hotel room next to your boyfriend. Away from your roommates you both can share a quality time with each other by ordering food, pop up the wine bottle, exchanging your thoughts and be cuddling in the big bed. Go and check the hotel list to surprise him. This is a way saucier than just hanging out at the public place. So, what are you waiting for? What could be better than having a gift which is going to last all year? Though this is not a new concept, if you really want to show your love on Valentine’s Day, gesture it in this way. Legit your partner will love it! 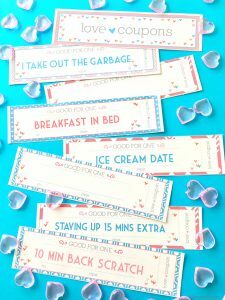 You can pick various things to make a coupon book, be it a fresh-baked cupcake or a candlelight dinner, a movie night or a message and just spice it up for the big Valentine’s Day. Enjoy your serendipity moment and spend a luxurious time with your partner. Lovebirds are excited as Valentine’s Day is around the corner. You can go creative this Valentine by arranging Valentine’s Day-themed cocktails. Having this with a partner will be a fun. Isn’t it? 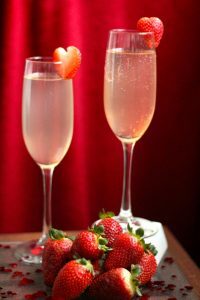 This is a perfectly festive way to celebrate the day, make drinks for each other and have it post dinner. You can have a homemade Mojito with your partner. Ending Valentine’s Day is with your partner doesn’t get much better. This idea is really going to be on hit for your Valentine. As Valentine’s Day comes closer, we all get a little carried away. We spent hours thinking about how lavishly you can spend this Valentine’s Day with your partner. We dream of all the luxurious things such as going out on a hill station or sailing on a yacht with a partner. But sometimes you need to be appreciative while he gifts you anything. It costs nothing but a nice gesture to the little efforts he made for you. Valentine’s Day is a day which is full of love and is less stressful for everyone so, make it more beautiful by acknowledging his little efforts this Valentine’s day he is going to make. Are you looking for a trip with your partner? Then yes you are doing the right thing to make your partner feel the love vibes. Though this is a bit expensive to go outside and stay there for like two-three days, gifting this your partner is a priceless thing you can ever do. After all, you are going to spend time together with your partner. What else can make you happy? By this, you can explore the place and share the beautiful moments together at your favorite place. And yeah, Don’t forget to bring the camera to capture the lifetime shot! Heart day is not only for lovebirds but for everyone indeed. Be it your friends, your family or any person who you are close with, you can express your love and buy them something. 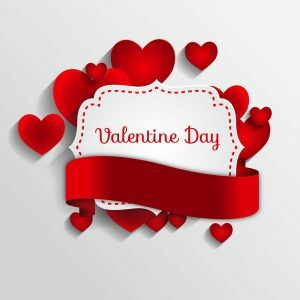 During this day, most of the couples stuck on what to gift thing, but it all depends on how long you have been dating each other and how much time do you want to spend together on this Cupid’s day. After all, what matters is the time you give to your partner, this is the priceless gift you can ever gift to someone especially on Valentine’s Day. This day is celebrated by showing appreciation for the people they adore. While some people go out for a romantic dinner with their loved ones, others choose this day to propose their loved ones to stay with them the lifetime. 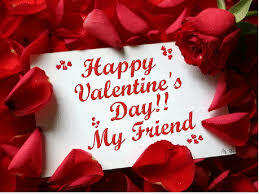 Many people send flowers, chocolates, greeting cards or gift jewelry to their admirers on the Valentine’s Day. To celebrate Valentine’s Day people take off from their busy schedule because it doesn’t count as a public holiday. However, Hotels, shopping centers, and restaurants are decorated with a Valentine theme. Instead of celebrating a single day lovebird enjoy the whole week, especially the days before Valentine’s Day such as Rose day, Propose day, Chocolate day. During the whole week, one can feel the love all around. 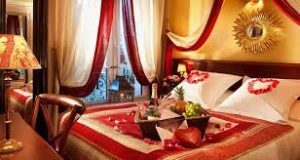 Though you got plenty of options to do on Valentine’s Day you choose the things which make your partner feel the warmth of your love. Whether you are coupled up or living a single life, this day holds a great importance in everyone’s life. If you are single, you can spend time with yourself, pampered yourself by taking a break from your hectic schedule and visit at any peaceful place, go to the spa to get relaxed or you can celebrate it with your friends or family members by spending quality time with them or take them out for dining meal and buy them the most timeless thing which they are going to remember for a lifetime. This is sure will make their day. So, Plan this Valentine to surprise your admirer in a unique way.